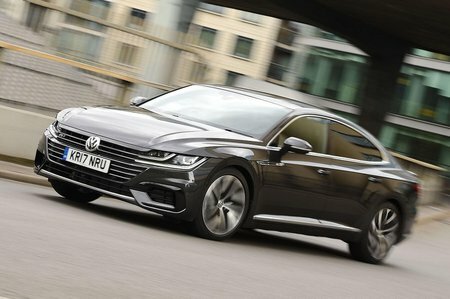 Volkswagen Arteon Boot Space, Size, Seats | What Car? The Arteon has loads of space up front. 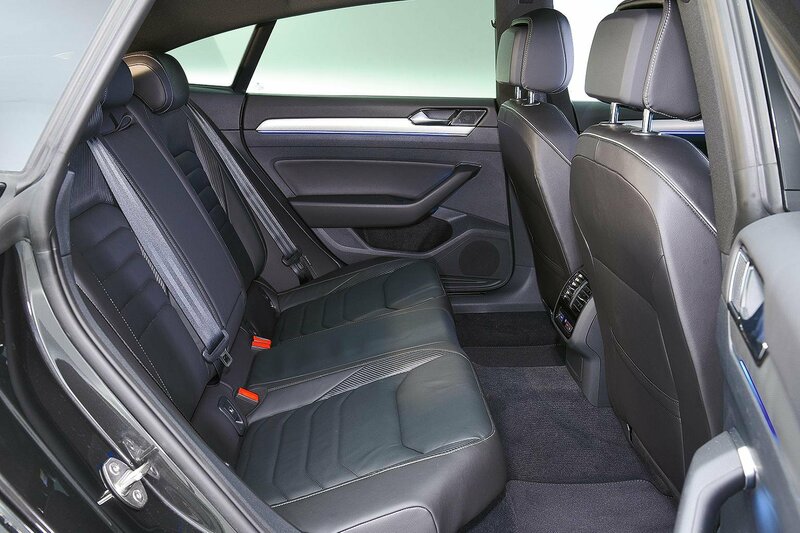 There’s as much head and leg room as you’ll find in rivals such as the Audi A5 Sportback or BMW 4 Series Gran Coupé, and the interior is wide enough to offer plenty of elbow room. It’s in the rear where the Arteon really scores over its rivals, though. 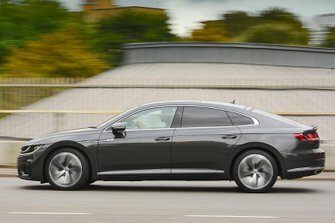 Okay, like all of these four-door coupés, the sloping roofline takes its toll on rear head room – taller rear passengers will certainly find their heads not far from the rooflining – but the leg room on offer is vast. And you can get three adults abreast in the back easily, although shoulder room will be a little tight if all three enjoy a pie. The boot is huge. In fact, it’s almost as big as the Passat’s and arguably more practical - rather than the narrow opening of the saloon, it has a wide-opening hatchback. We managed to fit in eight carry-on suitcases – that’s more than what the A5 Sportback or 4 Series Gran Coupé can manage – and fold-up pushchairs or a large load of supermarket shopping will be no problem. If that’s not good enough, you can also fold flat the 60/40-split rear seats to create 1557 litres of space and more than two metres in length between the front seats and boot lip.